The WFEO‘s Standing Committee on Engineering and the Environment (CEE) have published their latest Spring newsletter (2014). The newsletter explains how engineers can initiate programs to “maximise energy efficiency and reduce demand” as well as ” reducing users’ costs for energy and lowering Greenhouse gas emissions”. Click here to see the the newsletter for Spring 2014. American scientists revamp efforts to educate American public of ‘irreversible’ damage of climate change. The UN climate science panel, the PCC, will gather in Japan next week to release the second in a series of important reports. This time outlining how changing climate is affecting rainfall and heat waves, sea levels and oceans, fisheries and food security. In a rare intervention into a policy debate, AAAS urged Americans to act swiftly to reduce greenhouse gas emissions – and lower the risks of leaving a climate catastrophe for future generations. There were concerens that Americans still failed to appreciate the seriousness of climate change, despite “overwhelming evidence”. In December 2012, the new Future Climate – Engineering Solutions (FC-ES) website was officially launched at a FC-ES side event at the Sheraton Hotel during COP18 in Doha, Qatar. Speakers from 6 different countries, including representatives from the World Federation of Engineering Organisations (WFEO), the UK Department of Energy and Climate Change (DECC) and the British Council came together at the event, which was sponsored by Shell UK. The website was presented by a team from the Mayden Foundation. Since the event, Tunisia has expressed an interest in participating in the project. Mayden Foundation, and presented by Alex May; an Engineering student at Warwick University. The work of the Engineering and Agriculture Task Group. We will be attending the UN conference on climate change in Doha, Qatar this year. Our aim is to further expand the group of participants in the project and to showcase this website which is replacing the old one. A report on the events will be published here upon our return. 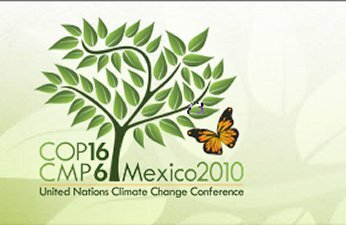 More information on the conference can be found by clicking on the above COP18 logo. -The FC-ES infrastructure is being developed, ideally so that each country nominates a liaison who represents all members within that country to the FC-ES coordinator (currently Alison Cooke). -Tsinghua University has committed themselves along with the Institute of Energy, Environment and Economics, to becoming part of the FC-ES network. -At COP17, there were discussions with the CEO of the South African Institution of Civil Engineers (SAICE). SAICE co-ordinates the African Engineers Forum and represents engineers across many African countries and the hope is that this will develop into partnerships with these countries in the coming year. -COP 16 took place in Cancun, Mexico in 2010. Clicking the logo above will take you to the website with the agreements and discussions made at the conference. -Dr Alison Cooke participated in a video interview on the FC-ES project.